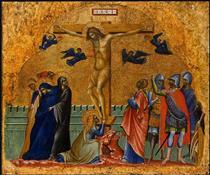 Paolo Veneziano, also Veneziano Paolo or Paolo da Venezia (born before 1333, died after 1358) was a medieval painter from Venice. 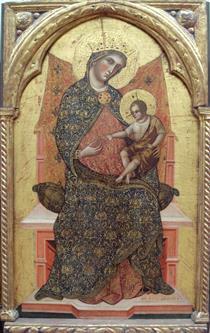 He has been called 'the most important Venetian painter of the 14th century'.  Many signed and dated works of this artist are known. He was regarded as the official painter of the Venetian Republic. He was born to a family of artists. He operated a large workshop in which he worked together with his sons Marco, Luca, and Giovanni. 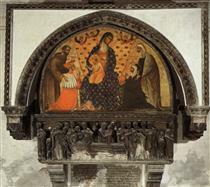 He was the official painter of Andrea Dandolo, for whom he and his sons Luca and Giovanni painted the Pala Feriale or “weekday altarpiece”, of the St Mark's Basilica in Venice. 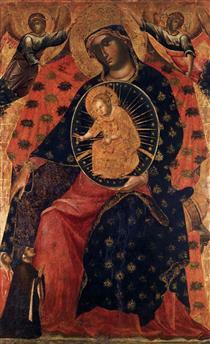 Paolo was in the past identified with the artist responsible for the works attributed to the Master of the Washington Coronation. There is no longer unanimity among art historians regarding this identification. 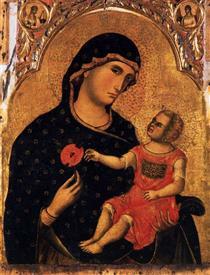 Paolo's style was indebted to Byzantine influences but also betrays a knowledge of contemporary painting in Rimini. 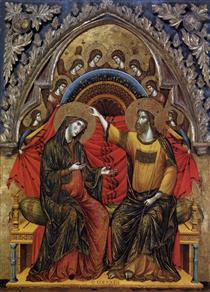 His more advanced works show the influence of gothic art. 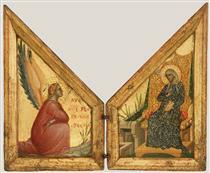 Through his art he was the founder of the Venetian school which would exert its influence throughout the 14th century and in particular on Lorenzo Veneziano.